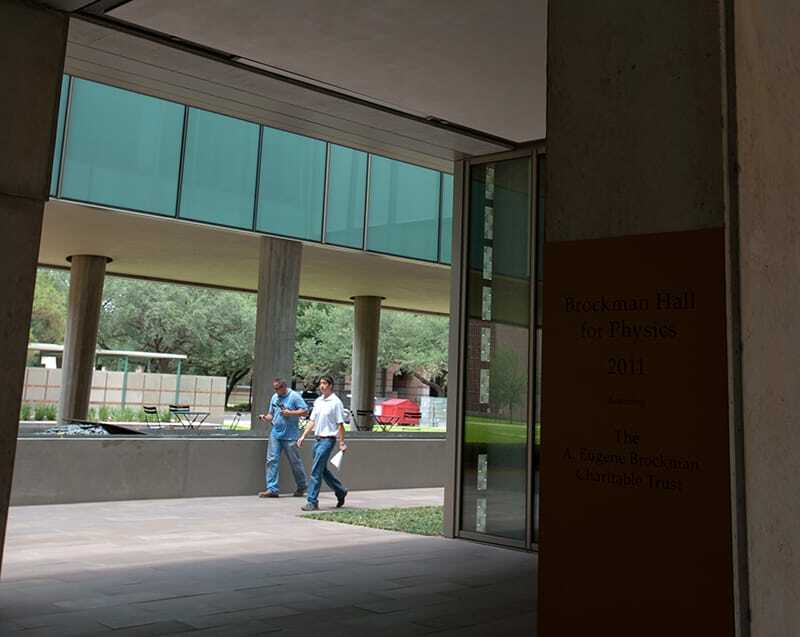 Rice University’s Brockman Hall for Physics is a state-of-the-art, Advanced Physics research facility. The facility features complex mechanical, electrical, and plumbing systems with a strong emphasis on sound, electrical harmonics, and vibration elimination. This hyper-track project was completed on time and within budget through the teamwork and cooperation of everyone involved. This facility is comprised of one lecture hall, six classrooms, advanced experimental space, research laboratories, offices, and equipment for researchers. The labs are supplied with clean electrical power, chilled water to cool lasers, and filtered air that is cleansed of submicroscopic dust. The building’s entrance showcases intricate German terracotta lattice system that serves as a decorative feature and shade for corresponding interior rooms. Another innovative feature is the dichroic glass wall by the building’s main staircase. 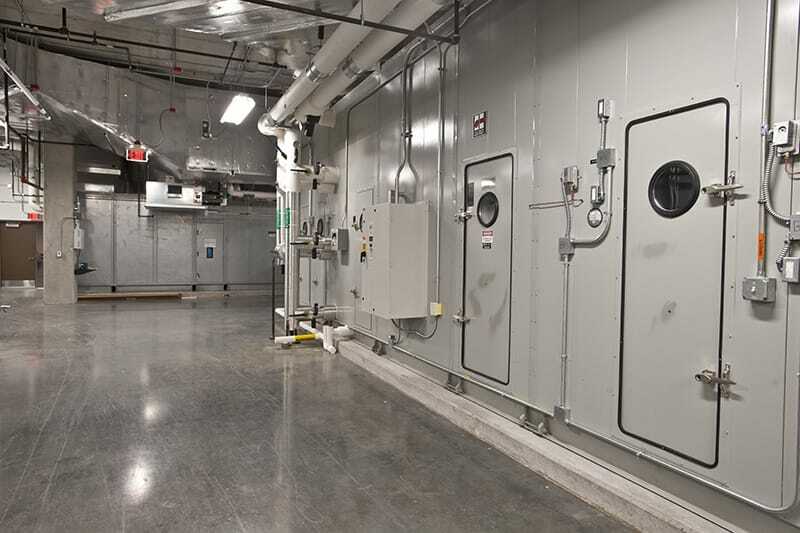 The fourth floor mechanical space houses an energy recovery system, the largest in a single air unit in Texas, which saves 30% of the energy needed to cool the building. Furthermore, the complex dehumidification system has the capacity of returning 100,000 gallons of pure, clean water to Rice’s central plant annually. The facility accommodates the current and projected growth needs of the Natural Sciences Department of the University. 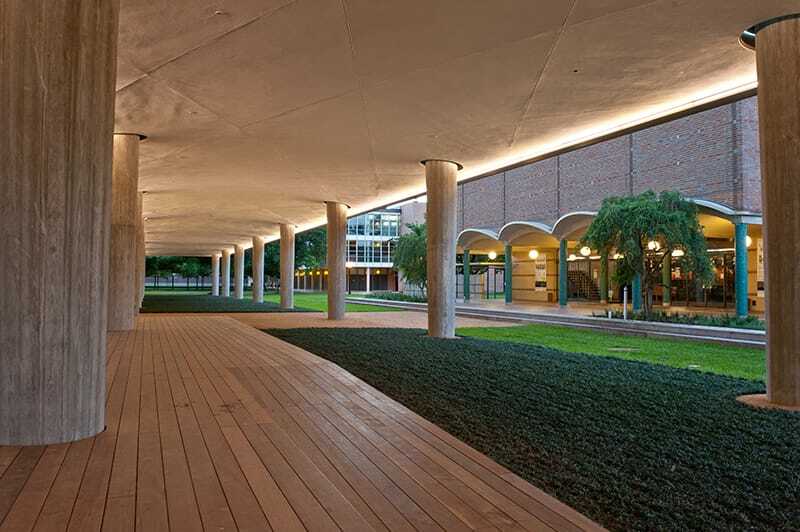 Brockman Hall conveys a new image on the Rice University’s campus in the form of its design. That innovation is complementary for the work performed inside of the facility, as it allows scientists to perform more advanced and precise research that will benefit both the University and the science community as a whole. Brockman Hall achieved LEED Gold certification.